Great for trade shows or mailers. 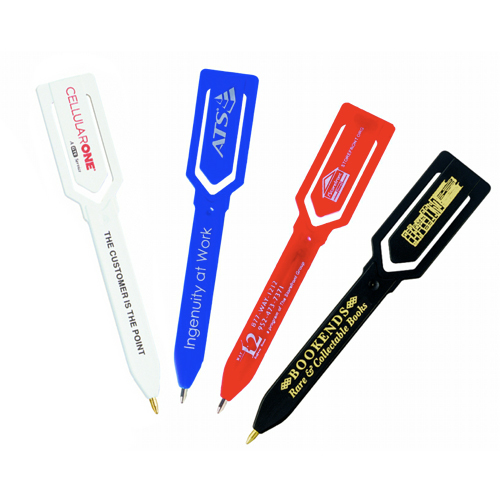 We print the message on the clip and the barrel all in one pass. So, there is a large imprint area. Also, the Spearhead is great for a sales force or co-op program. 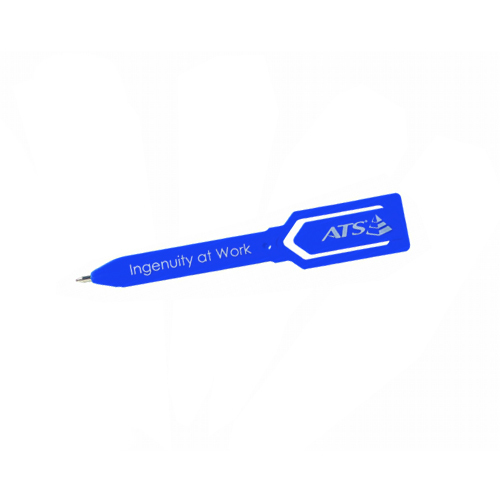 Print the company name on the clip and the individual info on the barrel.Great for a bank to give out in the mail or as a paperclip for the drive-up window. 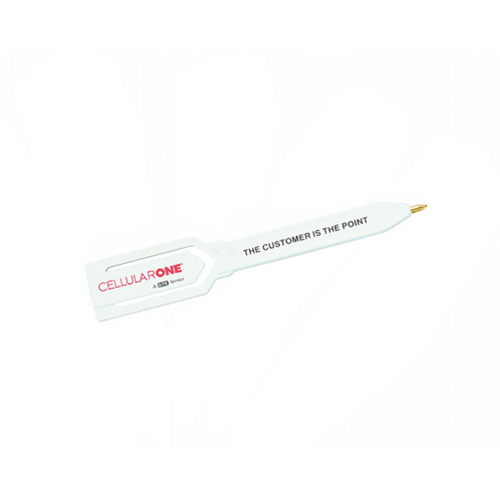 Go with multi-functionality for a truly novel promotional tool that recipients can put use for a variety of tasks! 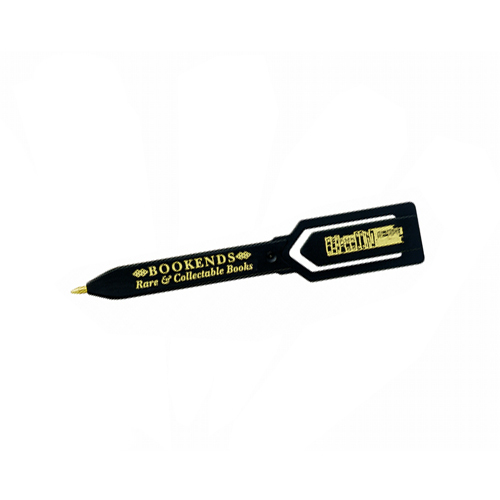 Each Spearhead pen functions as a bookmark, paper clip and checkbook pen. Because it's as thin as four business cards and weighs less than 1/8 oz., it's the perfect compact option for tucking between pages and taking on the go. 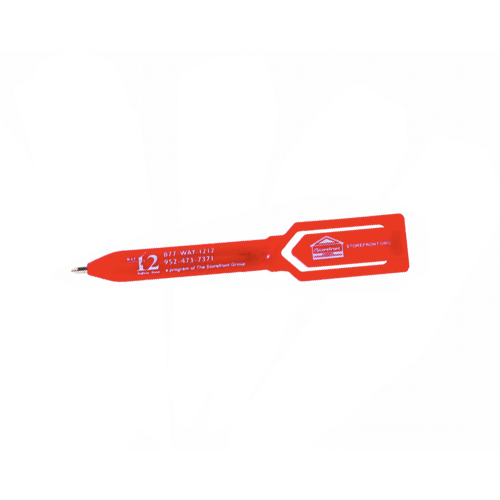 They feature a fitted brass cartridge and medium point black ink. Bulk / 5 lbs / 250 pcs. / 9 x 5.5 x 5box. Imprint Area: 1 1/4" x 3/8"
Imprint Area: 1 3/4" x 3/8"